It was a skill I always desired to learn. Almost an inner calling to try. Curiosity you might say that brought us together. That needle broke so many times and not to mention the near misses of sewing my finger together….oopsy.. but I diligently visited my friend’s home week after week to use their machine. 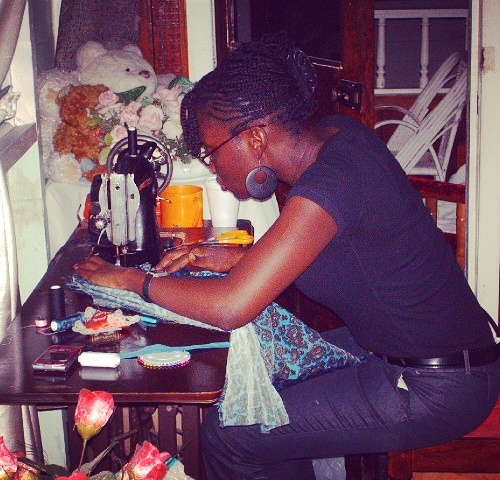 It wasn’t long after that I bought my own and continued to be inspired, dedicated and creative. I am excited for April and all it has to bring. I trust your March was amazing! Just keep sewing..just keep sewing…what do I do I sew.. sew.. sew sew.. Previous postSt Patricks Flow: A project abroad! This was very inspiring, thank you for sharing Uta! Uta good inspiration, here is my blog blackmondcom.wordpress.com you can visit me, so that we can do business together. Awesome designs you have here.